Skirting rubber is common to every conveyor application and paramount in the prevention of spillage at material loading points. It is a specifically designed rubber sheet used as sealing strip on conveyor system loading, transfer and discharge points. 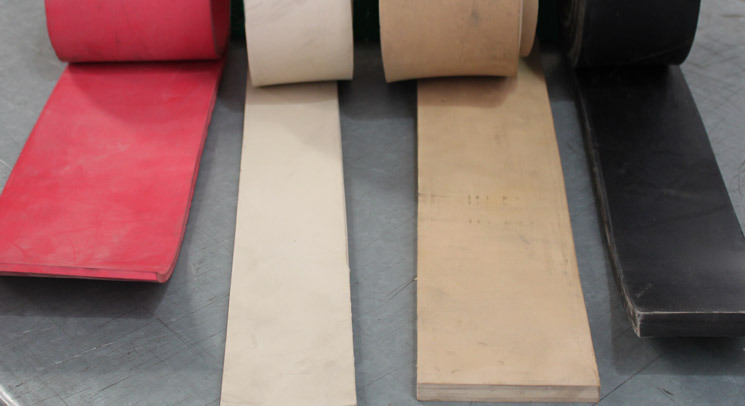 Skirting rubber is used to direct material onto the conveyor belt and reduce spillage. We stock an extensive range of skirting rubber ensuring fast delivery to site and customer peace of mind. At Screenspares we stock a full range of skirting rubber in a variety of different rubber compounds, widths and thicknesses. The type of Skirting rubber used should be based on the applications specific requirements. 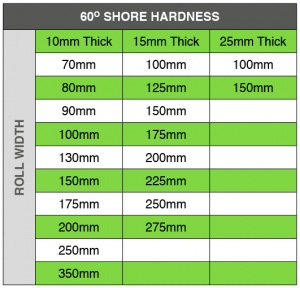 • Our skirting rubber is produced in 40, 50, 60 shore hardness. • We sell rubber in 15 and 20 Metre rolls with the larger thicker sizes in 10 metre rolls. 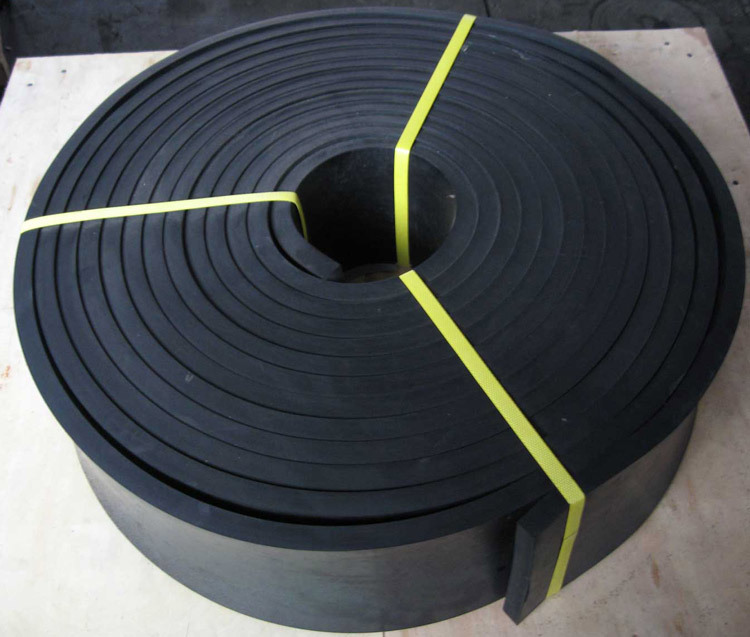 To ensure a proper seal, conveyor skirting rubber must be adjusted regularly to prevent leakage. The quick-clamp skirt system allows plant operators to fit, release and adjust skirting rubber easily without tools. The system is ideally suited to awkward and confined spaces.